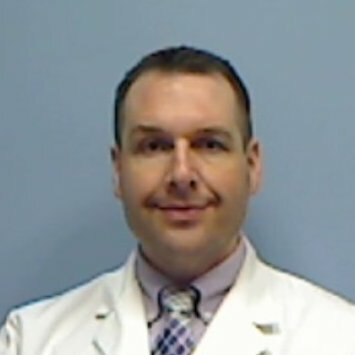 Dr. Kenneth W. Gogol, 41, of Rockford, Illinois died Thursday, August 24, 2017. Ken was born June 10, 1976 in Toledo, Ohio to Thomas S. and Linda S. (Nadeau) Gogol. He is survived by his loving husband, Chia-Feng (Max) Chang; parents; brothers, Lee (wife, Mishelle Daines) Gogol, Steven (partner, Shane Eicksteadt) Gogol; sister, Beth (husband, Dean) Foust; best friend Darrell Nelson; and nieces and nephews. Ken was a 2016 graduate of UIC College of Pharmacy at Rockford and was voted by fellow students as Student of the Year. He is remembered for his intellect and quick wit, his contagious laughter, his philanthropy, his love of animals, dancing, reading, learning, meeting new people and his strong familial bonds. An informal visitation and memorial gathering will be held Monday, August 28, from 5:00 to 7:00pm in Honquest Family Funeral Home, 4311 N. Mulford Road, Loves Park. In lieu of flowers, a donation may be made to an organization supporting mental health awareness or suicide prevention. Alice Durham, 90, left us on August 26, 2017 in Toledo Ohio. In her last weeks, she spoke of being “really blessed.” And she truly was. She was blessed with her beloved husband Dan who cherished her for 65 years; her 4 children – Cathy (Bruce) Wilson, Karen (John) Heinrichs, Barbara (Tony) Hirsch, and Daniel (Joan) Durham who loved her sweet, thoughtful guidance and wit; her 9 grandchildren who thrived in her joyful attention; her wonderful great grandchildren; adoring parents and siblings, Bill Gleespen and Mary Fox; treasured sister-in-law, Jane Gleespen Nachtrab; precious high school “sorority” friends, together for 70 years; close friend Toby Hoover; and many dear nieces and nephews. But we were even more blessed – by her faith, strength, wisdom, humor and devotion to all of us. Alice was born on May 6, 1927 to Albert and Louise Gleespen. She went to Central Catholic high school and played clarinet in their marching band. She married her dear husband Dan in 1951. Because of Dan’s 26 years with the fire department, Alice was able to stay home to raise their young children. As they grew older, she embarked on her own career as an HR Block tax professional, working for 38 years into her 80’s. With Dan, she traveled to many places, including Ireland, Alaska and the Atlanta Olympics. Disney World with grandchildren was a favorite. Their 50th wedding anniversary celebration was celebrated in style in 2001. And this year, they reached a landmark 65th anniversary. Alice is preceded in death by her parents and siblings. She is survived by her husband, children, grandchildren, great grandchildren, sister-in-laws, and other close friends. Friends may visit at the Coyle Funeral Home, 1770 S. Reynolds Rd., on Wednesday, August 30th from 5-8 p.m. where a Scripture Service will be recited at 7 p.m. A Funeral Mass will be held on Thursday, August 31st at St. Patrick’s of Heatherdowns Church at 10 a.m. Entombment will take place at Resurrection Cemetery at 1 p.m..
To send flowers or a memorial gift to the family of Alice Catherine Durham please visit our Sympathy Store. I have been retired from teaching for 12 years! I keep busy with my grandchildren’s events, as a board member on the Traverse City Historical Society and working on my family’s history. In Sept I am going to Ireland with my cousins! McAuley Impact Q: Two things stand out as having a huge impact on me while at McAuley. First, the Christian value system that I was immersed in. It reinforced the values I was taught at home and formed my values for the rest of my life. #2. The excellent education I received that prepared me for college and life beyond. As teaching became my chosen profession, I realized how blessed I was to have such excellent educators as the Sisters of Mercy for my high school years. How McAuley was chosen Q: I attended grade school at OLPH and it just seemed natural to move next door to McAuley with most of the girls in my class. Girls schools were “in” those days and how cool to have one in my neighborhood! McAuley’s impact Q: With out my teachers and friends at McAuley I would never have believed in my abilities as a person. My time at McAuley was precious and I am very grateful for my time there. McAuley chosen Q: I chose McAuley. It was the only school I wanted to attend. I still live in Rochester, NY. I continue to work as a geriatric/psychiatric nurse practitioner in a large nursing home. My 3 sons and their families are doing well. McAuley impacted Q: I thought the school was a positive force in my life, especially by exposing me to bright women, often masters prepared in their field, who were excited about teaching and about their fields of expertise. McAuley chosen Q: My parents chose it for me. Blessed with our 6th grandchild. Will even the count at 3 girls and 3 boys! Downsized to a patio home which backs up to a green space. Purging as been great! McAuley chosen Q: I wanted to attend Central Catholic. My parents nixed that because of the time it would take to get there (would have involved bus transfer). My older sister Marsha was at McAuley so…. I’m glad I followed her. I would not have met such wonderful, fun women. McAuley chosen Q: Went to school next door at OLPH. It was just assumed & all friends also transitioned. McAuley impacted life Q: Yes, I learned about being a leader and trying to make positive changes. I learned about friendships and how important they are and the importance of having a diverse group of friends. McAuley chosen Q: My mom and dad felt that I would get a better education going to a Catholic high school. McAuley was the most affordable of all the Catholic high schools at that time. I was also given the opportunity to work in the cafeteria during lunch hour to defray my cost of education. McAuley impacted Q: Absolutely! I loved that I could be just me without worrying about what boys/guys would have thought. I believe McAuley is a part of why I am a confident woman and why I excelled in H.S. and college. I wouldn’t change the experience AT ALL! McAuley chosen Q: We (my family) moved to Toledo in June 1972 from NJ. Our neighbors across the street had daughters attending McAuley, including one that would be starting as a freshman like me. They recommended the school. My mom made an appointment. St Catherine was the principal at the time. I think the two of us in H.S. at the time also went (Karen & myself). My mom did not go to the appt. Intending to enroll us but at one point schedules were being put together for my sister and me and it became a done deal. My parents must have been happy as my three younger sisters also attended (Margaret, Jean and Elizabeth). My oldest sister (Susan) was already in college when we arrived in Toledo. I have so many great and fond memories of my time and classmates at McAuley. I am grateful to be an alum. McAuley impacted Q: I didn’t appreciate it at the time, but in hindsight I realized that an all-female setting for high school allowed me to not fixate on my appearance or competition over boys. I believe it gave me greater self-confidence then and later in life. I just returned to work after many years as a stay @ home mom. I love it! It was an easier transition than I thought – so happy I made the leap! McAuley impacted Q: Completely! My time at McAuley prepared me for college, grad school, the working world and being a mom. It taught me how to value good friendships. McAuley chosen Q: It was a decision made with my parents and I’m so thankful they were so supportive. Laura Marie Radocy McDonald Class of ’79 passed away unexpectedly Saturday, June 17, 2017 in North Bend Washington from a seizure. Laura attended culinary school in San Francisco, CA and owned The Pickle Lady in North Bend, WA. She was outgoing, loved people and was a fantastic chef. She is survived by her daughter Maleah McDonaldof North Bend, WA, the light of her life; mother, Dorothy Radocy of Toledo, Ohio; brother John Radocy and wife Susan Grant Radocy “74 of Alpena MI; sister Mary Pat Radocy Kagel ’73 (John) of Palo Alto, CA; sister Kathleen Radocy Rotterdam ’76 and several nieces and nephews. Per Laura’s wishes, she was cremated and a celebration of her life will take place at a later date. 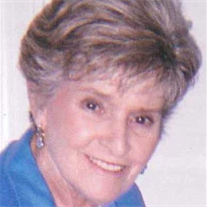 Marguerite Ann Michaels, died March 20, 2017 from complications due to Parkinson’s disease. Her family and friends were by her side. Marguerite was born on July 30, 1945 to the late Olga and John Michaels, in Bridgeton New Jersey. Marguerite graduated from McAuley High School in Toledo, Ohio and from there entered the order of The Sisters of Mercy in Cincinnati, Ohio. She left the convent after 2 years, and graduated from Southern Illinois University with a BA in English. She then attended and earned a Masters of Science in Journalism from Columbia University in New York City. After graduating from Columbia, she began work at Time Magazine as one of the first women reporter-researchers in the early 1970’s. She left Time after several years, and went to work as a writer at Parade Magazine. While at Time, she covered many different events; from an uprising in Liberia where she was taken prisoner for several days, to cover stories on people such as Slobodan Milosevic, former President of Serbia, and Yoweri Museveni, President of Uganda. At Parade Magazine, she interviewed many different personalities, such as Arnold Schwarzenegger, Dolly Parton and George Steinbrenner. On sabbatical from Parade, she wrote a docu-drama called Showing The Flag, about life in an American Embassy in Bogota, Colombia. It was published in 1982 by Simon & Schuster. Returning to Time in the early 1980’s, she became the first woman Bureau Chief in Nairobi, Kenya and spent several years there covering Kenya and surrounding sub-Saharan countries. Returning to the US, she continued working for Time in New York City, and also wrote pieces for The Council on Foreign Relations, such as Retreat from Africa. Marguerite was an avid art collector, and over a period of many years collected an outstanding collection of Japanese prints and paintings. She donated the entire collection to the Art Institute of Chicago in the early 2000’s. 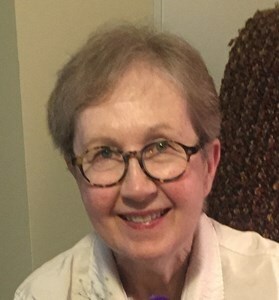 She was diagnosed with Parkinson’s disease in 2007, then Lewy Body disease, and in 2014, entered Sunset House, a retirement and assisted living community. She has spent many good years at Sunset, bringing a smile and her indomitable spirit to the community there. She is survived by her adoring sister, Lauren. She has also been surrounded by many good and dear friends: Jennifer, Diana, Sadie, Cindy and Patt, as well as by her many friends at Sunset House. In lieu of flowers, Marguerite has donated her brain to the Gardner-McMaster Parkinson Center in Toledo, Ohio. All other donations can be made to Sunset House Retirement Communities, Sunset House, 4020 Indian Road, Toledo Ohio 43606 or sunset-communities.org in the name of Marguerite Michaels. 1) Do you believe that your time at McAuley impacted your life in a significantly positive way; and if so how? I do. I learned so much at McAuley, and made some good friends. I learned to manage my time efficiently and it has stayed with me to this day. I took Mrs. Gray’s English History class and fell in love with England, that in 2004 I went to England to see some of the things I learned about. 2) How did you come to choose McAuley as your high school? If it was your parents’ choice, did you grow to love McAuley? I ENJOYED McAuley. I had an older sister who went and loved it, and I just followed in her footsteps. Question #2: How did you come to choose McAuley….? : My cousins had attended and I always thought I would as well. Working full-time in our company business keeps me busy all the time. Appreciated all the prayer support from my McAuley sisters when my husband had heart surgery in August. He is doing fantastically well. My daughter Caitlin is starting graduate school to get her masters in administration. She will be working hard teaching full time and taking classes too. My daughter Bridget is now the head sous chef at the country club where she works. So proud of them both and the lovely women they have become. 1) Do you believe that your time at McAuley impacted your life in a significantly positive way; and if so how? Absolutely. The friendships made, the education received, have helped me through my whole life. 2) How did you come to choose McAuley as your high school? If it was your parents’ choice, did you grow to love McAuley? It was never really a question. My sister went there and I was always going to go there. So glad I did. Last year I reported that my husband had a new job in Wisconsin but, it was eliminated, the network closed, he moved back to Holland, OH at the end of December ’16. His mom’s house sold, ours didn’t , she had to move in with us. Ken now has a new job in Allentown, PA and started the end of March. We’re doing kitchen reno, put in wood floors and will sell (by auction) hopefully, May ’17. We can all be together again. Sadly our first grandson was stillborn August ’16. Praying for more grandchildren. Question #1: McAuley impacted….? : McAuley gave me the opportunity to push myself with classroom work but also to learn how to be a leader and organizer. Question #2: How did you come to choose McAuley…? : My choice. I wanted to attend a Catholic HS and had to work after school and summers to work off tuition. Best investment of my time. Question #1: McAuley Impact…? : McAuley helped me learn to appreciate the arts and religion. The art classes were enjoyable. Spanish class was awesome and actually assisted in understanding English more. The religion class based on world religions was educational. Algebra 1 was excellent too. My favorite classes and teachers were these.